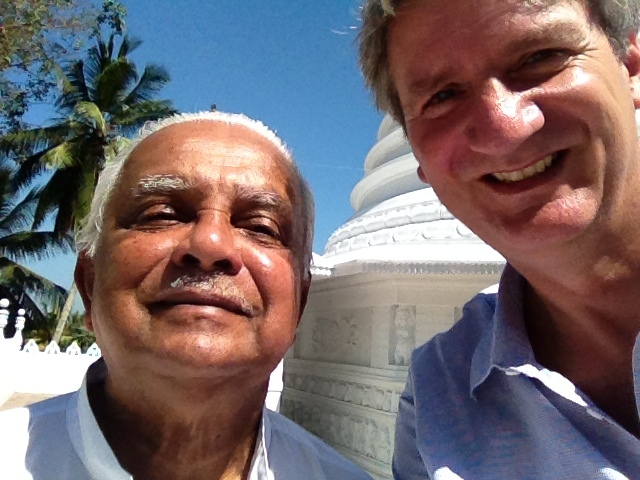 Since 2007 I travel twice a year to Sri Lanka to support Sarvodaya with the wonderful work they are doing for the poor. Dr. Ariyaratne teaches me to meditate and tells me that I don’t need to worry about place and time: ‘That doesn’t make sense Hein.’ I witness what they are doing and realize while facilitating workshops for 2000 people at the same time that I must give up the illusion of being in control. Love and forgiveness were the topics we worked on in Brazil with the Global Leadership Network (GLN). Together we designed programs for MBA’s, NGO’s and the Business World how to bring love in their life and work. Love is still a word not used in those surroundings and I don’t feel fully comfortable to use it myself. But I’m getting there. The need is obvious. And GLN is a loving community that I hope everybody will experience once in his or her life. The Brahma Kumaris are an inspiring example how to build a community in 40 years with 8000 centers in 115 countries without the hassle of money. If I add an O to God then it’s easier to follow the teachings: Connect to Good! Meditating in Mount Abu, India, made me realize I can be at ease with myself. Meditation for them is about going out, going in and going up. The picture above is from Mt Batur in Bali during sunrise. I love to hike in nature with family and friends or just on my own.